The Ondo State House of Assembly has passed the state’s appropriation bill presented by the State Governor, Mr. Oluwarotimi Akeredolu, into law. 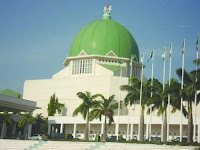 The approved figure was however jerked up by N10, 156, 627, 283bn, making the amount passed into law to be N181, 424, 540, 283. The governor had on December 2, 2017 presented a budget proposal of N171,267,913,000 to the assembly for passage into law. The House unanimously passed the budget estimate at the plenary sitting presided by the Speaker, Rt. Hon. Bamidele Oleyelogun. The passage followed the submission and adoption of the report of the House Committee on Finance and Appropriation under the chairmanship of Hon. Sunday Olajide. Olajide said the jerking up of the budget proposal was necessitated by the need to incorporate the sum of N7bn SUBEB funds for capital projects in 2017 into the 2018 budget. He also said that a sum of N2bn was earmarked for the conduct of local government election. He further added that errors observed in the proposals of MDAs were rectified culminating in the increase of the budget sum. Submitting the report, Hon. Olajide, said the budget estimate gave clear expression to the vision of the government to transform the state, adding that the 2018 expenditure is quite set at sustainable level taking cognisance of the current economic realities. He noted that the committee observed that there are clear indications that considering the projections in the budget, there would not be abandoned projects. Out of the budget, the sum of N78,587,675,486 is voted for recurrent expenditure, while the sum of N80,928,985,234bn is for capital expenditure. He said N13,599,878,084bn is for debt service, while the sum of N8,308,001,478.30 is for statutory transfer. The Majority Leader of the House, Hon. Olugbenga Araoyinbo, moved a motion for the passage of the bill after the adoption of the committee report and this was seconded by the Deputy Speaker, Rt. Hon. Iroju Ogundeji.